There are western elements in every Coen brothers film. From nu-western noir in Blood Simple, all the way to the jazz age, fictional bio-pic of Eddie Mannix, Hail, Caesar! The old west finds its way into every film the Coens tackle. As far as out and out westerns, that also take place in the old west, there are really only two. Unless you consider O Brother, Where Art Thou? an out and out western, which I don't. There is True Grit, and this film, an anthology of stories that take place in the old west and have no connecting narrative thread, beyond their time and place. 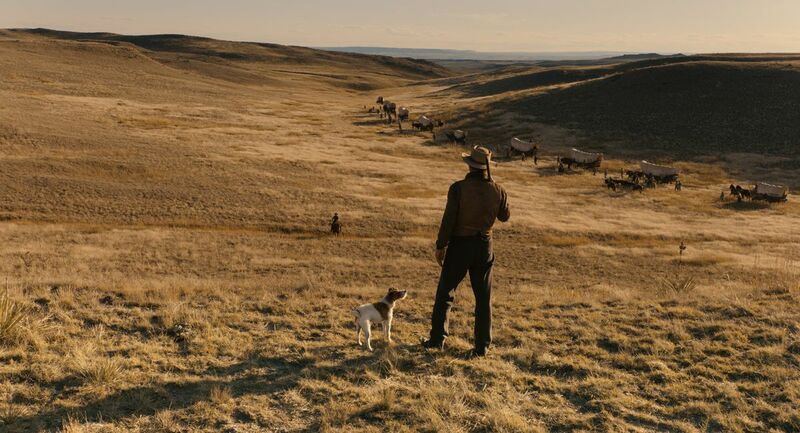 The thing Buster Scruggs has going for it, is that all of the short films in the anthology are good, and that they were all directed by Joel and Ethan Coen, which pretty much guarantees quality control. Netflix might seem like a strange place for a new Coen brothers movie, given that their movies always do very well at the box office. But it actually makes a lot of sense. Netflix has a hands off policy when it employs filmmakers to create Netflix-only content. Which means that they would've said something to the Coens along the lines of "we want you to do a film for Netflix. We'll give you as much money as you need to film it and complete creative control". That's a prospect far too juicy to pass up if you are a pair of creative geniuses.